Chocolate Chip Peanut Butter Oatmeal Cookies . 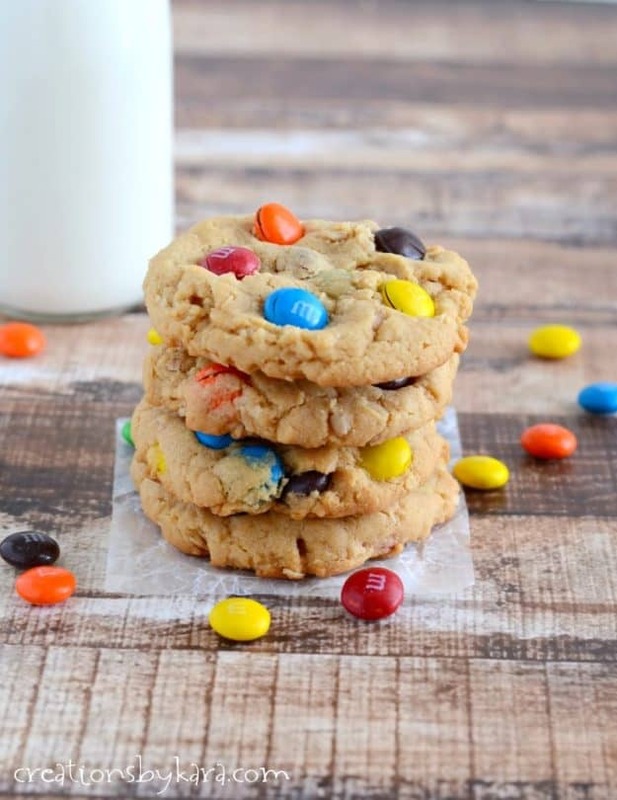 . . packed with so many delicious ingredients, these cookies are sure to become a favorite! Chocolate chip cookies-yum, peanut butter cookies-yum, oatmeal cookies-yum. Chocolate chip peanut butter oatmeal cookies=triple yum! 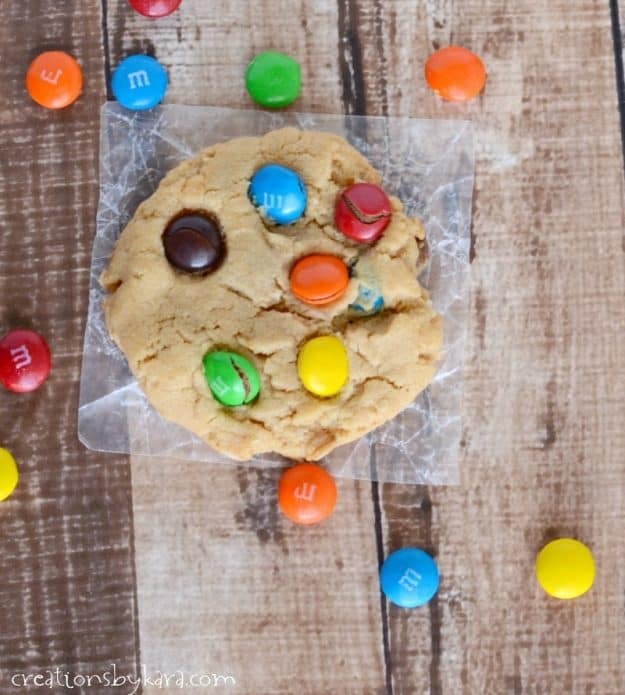 Every bite of these cookies is packed with something tasty. You’ll love them! 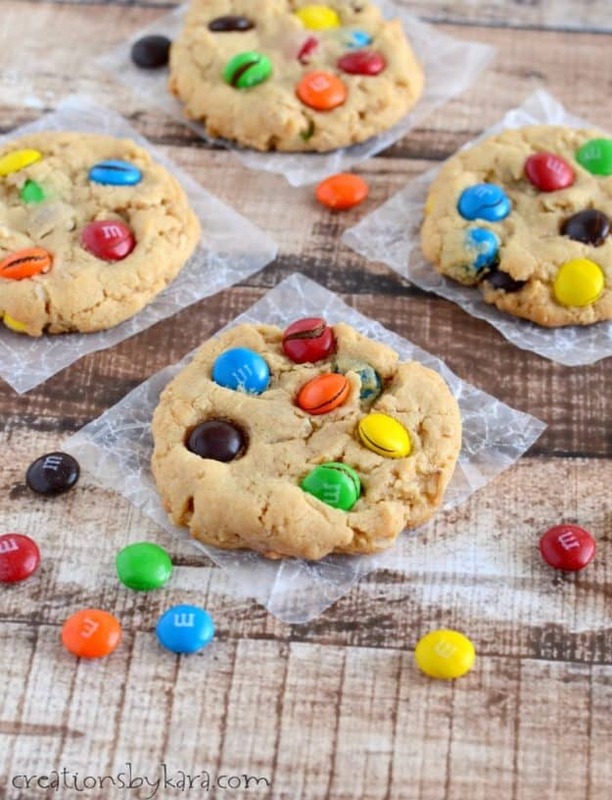 These cookies are soft and chewy and crunchy and just darn good. They turn out perfect every time I make them. 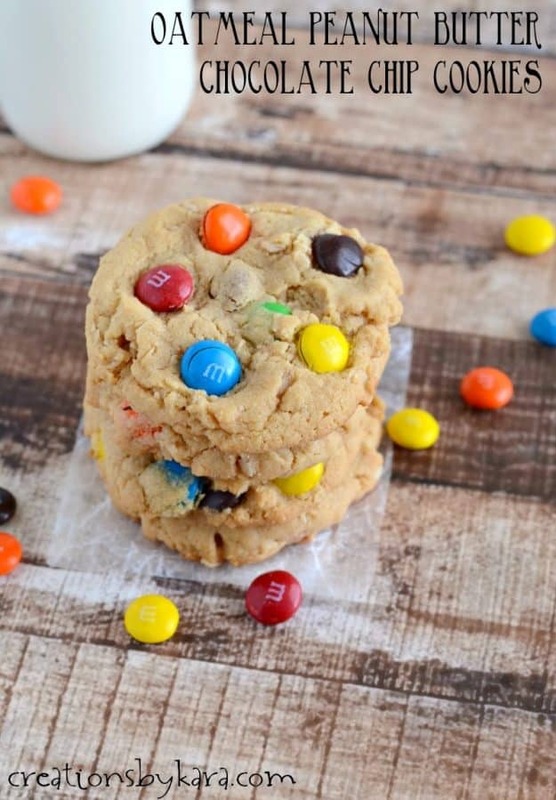 Our favorite variation is to use half chocolate chips and half M&M’s. So good! Make sure you have a tall glass of milk handy. We call these “Oat-rageous Chocolate Chip Peanut Butter Cookies”. You can call them whatever you want and they will still be over the top yummy! Cream butter, peanut butter, and sugars in a large bowl; beat in egg and vanilla. 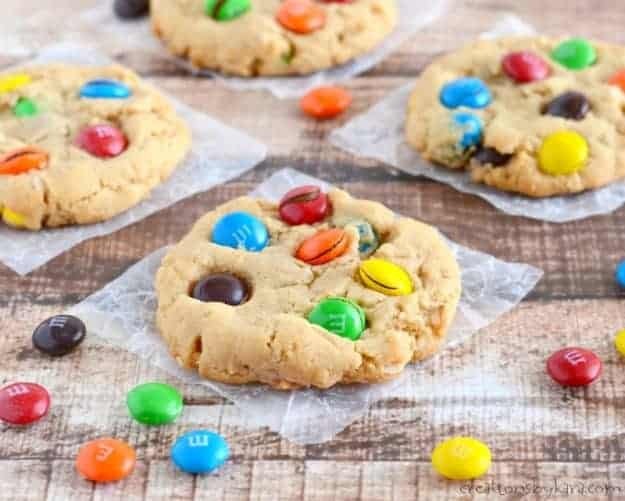 Stir in dry ingredients, chocolate chips, and M&M’s. Drop by spoonfuls onto silpat lined or lightly greased cookie sheets. Flatten slightly. Bake at 350° for about 8-9 minutes or till lightly browned on the edges. Cool for 2-3 minutes, then remove to cooling racks. If you like this recipe, I’d appreciate it if you’d pin it. Thanks!